Very much different from the previous versions of Windows, the new Windows 8 comes up with a lock screen instead of the classic login screen, whenever you turn on your Windows 8 PC. Now, to login to Windows 8, you manually move the screen to a side and enter the password or Pin. Well, if you find it a bit irritating, you can disable this feature by following simple steps given below. Lets begin directly with how to disable lock screen in Windows 8. 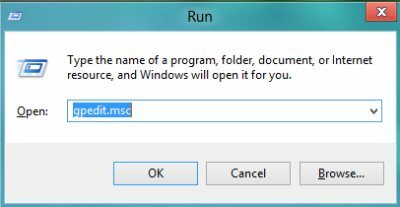 Open the “Run” window, just “Press “Windows Key+R”. 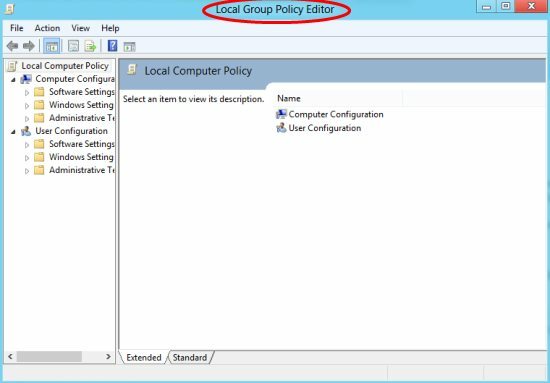 This will open the “Local Group Policy Editor” window. Now, just navigate to “Computer Configuration” ? 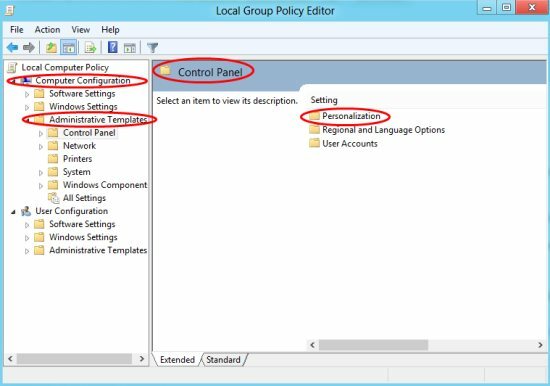 “Administrative Templates” ? “Control Panel” ? “Personalization” . This will soon display you three different settings for lock screen. However, you need to double click on “Do not display the lock screen” in order to change the default setting. Now, as you can see that the option has been set to “Not Configured” which is by default. 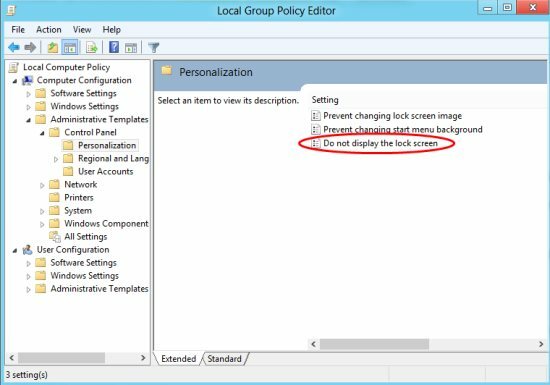 You need to change the setting to “Enable” in order to disable lock screen in Windows 8. Click on “Ok” to save the customized setting. Also, check out other Windows 8 Tutorials. Yupp…you are done. now you wont see the lock screen whenever you turn your Windows 8 system on. Go ahead and follow these steps to disable lock screen in Windows 8.